There are four hound breeds that originate from the Vendee region of France. 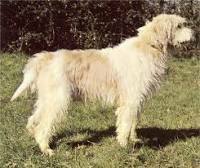 The largest of these is the Grand Griffon Vendeen, this hound is used to hunt larger quarry such as wild boar and deer. The Briquet Griffon Vendeen is slightly smaller than the Grand Griffon and is used to hunt smaller quarry. 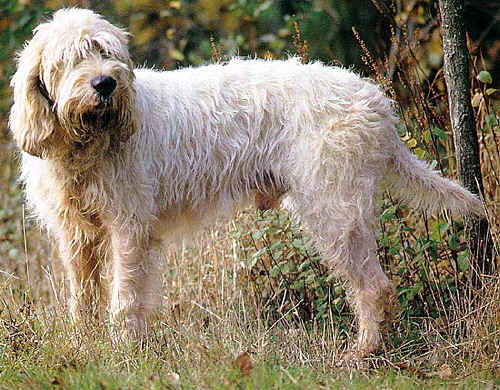 The Grand Basset Griffon Vendeen and the Petit Basset Griffon Vendeen were bred down from the larger hounds to hunt through thick undergrowth. The term Basset means long and low to the ground and does not mean that these smaller hounds are hairy Basset hounds. Because of its background the GBGV is an outgoing strong willed hound who is full of fun and generally loves life. 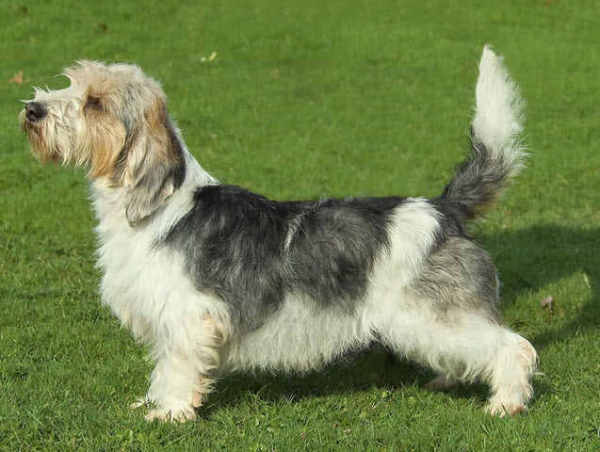 He is a pack animal whether it is canine or your family pack he will love to be part of it, GBGV’s do love company and are not suitable for homes where they would be left for long periods on their own, they can become noisy and destructive in this situation. They do need to be taught their place in the ‘pack’ very early in life by firm fair handling, you will be rewarded by a well behaved hound who will love and respect you and will always be willing to please. When adult the GBGV does require a good deal of exercise but up to a year old about 20 mins on the lead and a little free running in your garden is all that is required in order for joints and bones develop properly. When a year old they can be walked as far as you like. They are a clean hound and are easily house trained. GBGV’s have a coarse textured weatherproof coat with a thick undercoat, regular grooming once a week always checking ears and nails should be enough to keep him clean.